Tech Pulse Podcast: Tech Pulse 20070906: Drobo Review, iPhone Price Cuts, iPod Touch, HandBrake, and more! 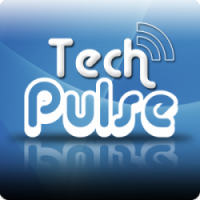 Tech Pulse 20070906: Drobo Review, iPhone Price Cuts, iPod Touch, HandBrake, and more! A guest review of Drobo, plus tons of iPhone- and iPod-related news, details about recent Monster.com and Mobipocket server hacks, Josh offers security tips, Josh picks the multi-OS free DVD ripper HandBrake, Kyle discusses iWork and iLife 08, and more! From an e-mail sent to Monster users: "As you may be aware, the Monster resume database was recently the target of malicious activity that involved the illegal downloading of information such as names, addresses, phone numbers, and email addresses for some of our job seekers with resumes posted on Monster sites. Monster responded to this specific incident by conducting a comprehensive review of internal processes and procedures, notified those job seekers that their contact records had been downloaded illegally, and shut down a rogue server that was hosting these records. The Company has determined that this incident is not the first time Monster's database has been the target of criminal activity. Due to the significant amount of uncertainty in determining which individual job seekers may have been impacted, Monster felt that it was in your best interest to take the precautionary steps of reaching out to you and all Monster job seekers regarding this issue. Monster believes illegally downloaded contact information may be used to lure job seekers into opening a "phishing" email that attempts to acquire financial information or lure job seekers into fraudulent financial transactions. This has been the case in similar attacks on other websites"
From an e-mail send to Mobipocket.com customers: "We reset your password because we recently learned of an attempt to gain access to a Mobipocket server. Files containing name, account name, password, address and e-mail address for some Mobipocket customers were kept on this server. Although we have no evidence that these files were accessed, we changed your password and are notifying you out of abundance of caution." it can be used to edit people out of photographs! Mac OS X: Click on the desktop, click on the Finder menu, click on Preferences..., click on Advanced, put a check next to "Show all file extensions"
HandBrake - Simple yet powerful DVD ripping software for Mac, Windows, and Linux, with presets for iPod, iPhone, Apple TV, PSP, etc. Oh, and did I mention it's free (as in both money and source code)? It does NOT convert files from one video format to another. iTunes can do this for some file types, but not all. If you, dear reader, know of any good video converter apps for Mac or Windows, please e-mail us at josh at techpulsepodcast dot com, or bookmark the application's homepage on del.icio.us with the tag "techpulseideas"
iDVD - is it really needed anymore? Leopard Launch Special Edition - Coming Soon!